Hemwanti Nandan Bahuguna Garhwal University has declared the results of BA (Bachelor of Arts) Final year or 3rd Year of the session 2012-13. But the results of Regular students are declared and private students results will be announce soon. So now the BA Final year students are easily check their results online. There are so many of the students are waiting for their results and the final year students will becomes graduate after their better results. So HNB Garhwal University has declared the results of some collages and it will update soon by the university. Click here to get your BA Final results online. 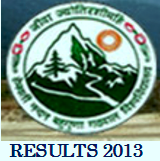 Click here for more results of HNB Garhwal University 2013. For more details of results and exams stay connected with our website or you may follow us by email.